Designed especially for clean-room environments. Access stored materials from two sides of this pass-through cabinet. 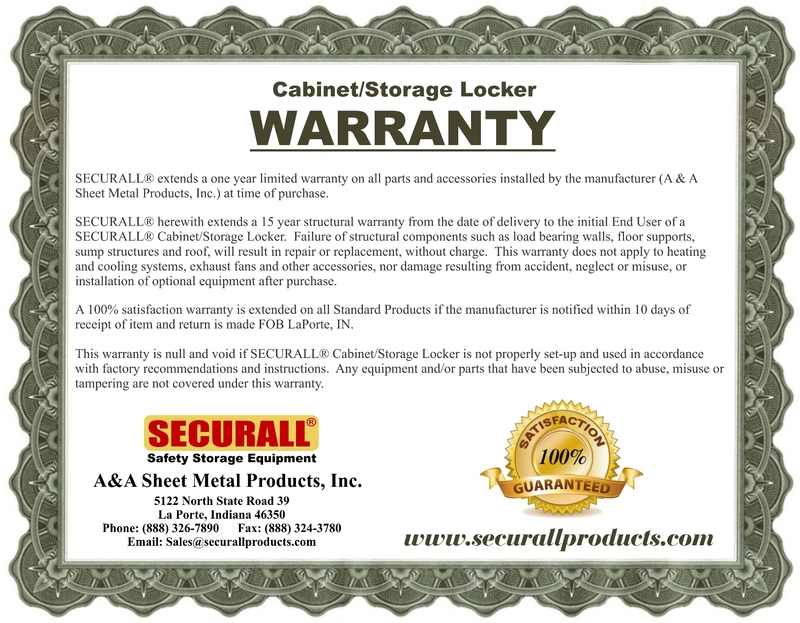 18-gauge, all-welded steel safety cabinet features doors on both front and back. Keep your flammable and combustible liquids near your workspace without worry. Cabinet comes equipped with double-wall doors, heavy gauge piano hinges, 18-gauge galvanized steel shelving, 2” leak-proof sill, and two 2” vents with flash arrestors. Flush-mounted locking door handles provide fast, fingertip operation. 3-point, spring-operated, self-latching button latches allow doors to close safely and securely. Also available in Stainless Steel.